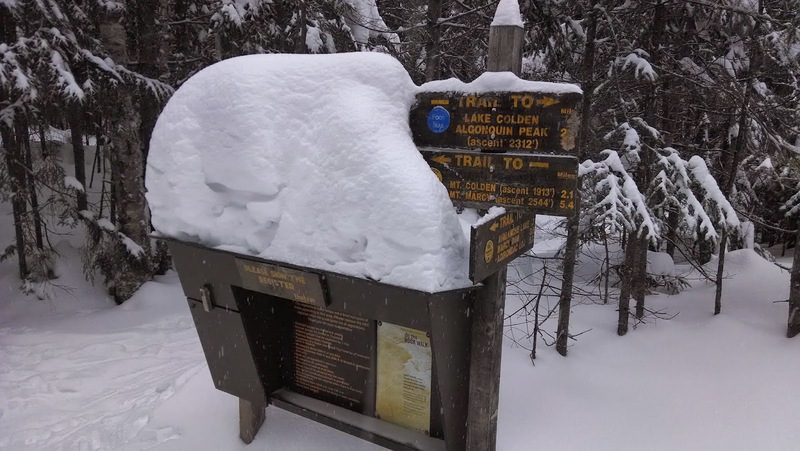 Yesterday the weather forecast for the north country was for temps of 25 - 35 degrees and 2-4 inches of snow ending by noon today. 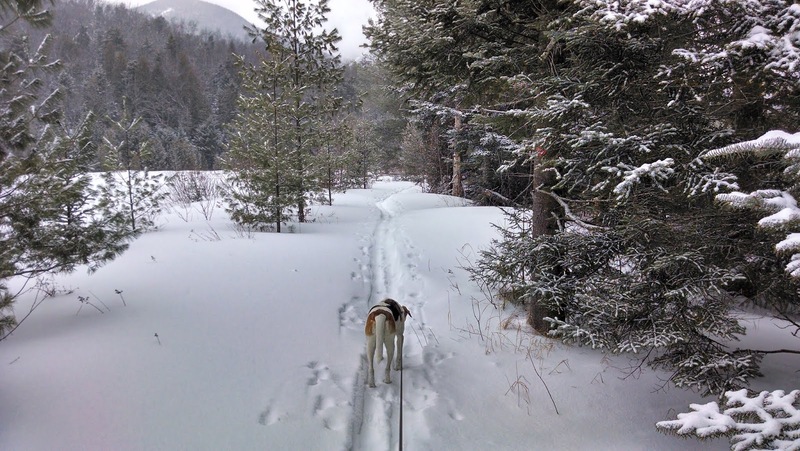 That caused me to change any thoughts of hiking to thoughts of XC skiing. 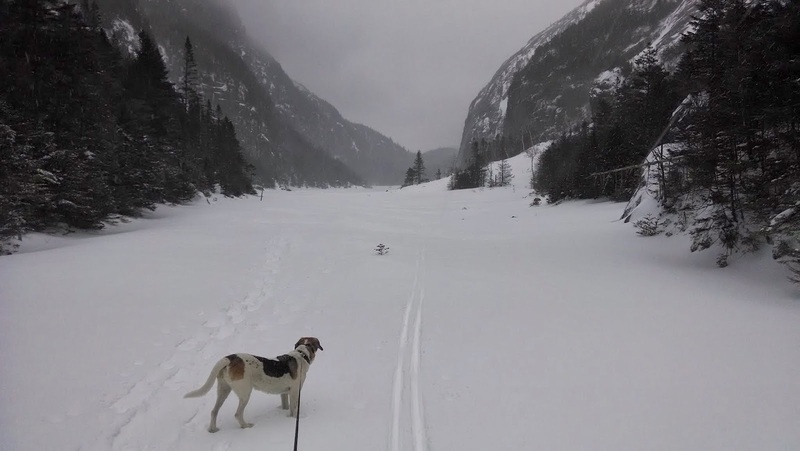 My favorite ski trail is the Calamity Brook Trail to Flowed Lands, Lake Colden and Avalanche Lake. I hadn't skied it at all this winter, so today would be the day. 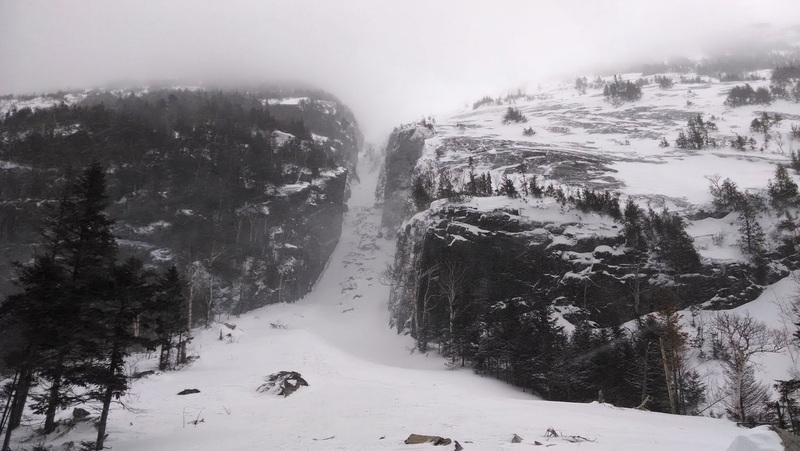 The calendar says it's spring, but up at Flowed Lands and Avalanche Pass, it feels like mid winter. I started out at exactly 10 AM. There were 2 other cars in the lot. One was there for a 3 day camping trip. The other car was 2 guys headed for Mount Marshall. 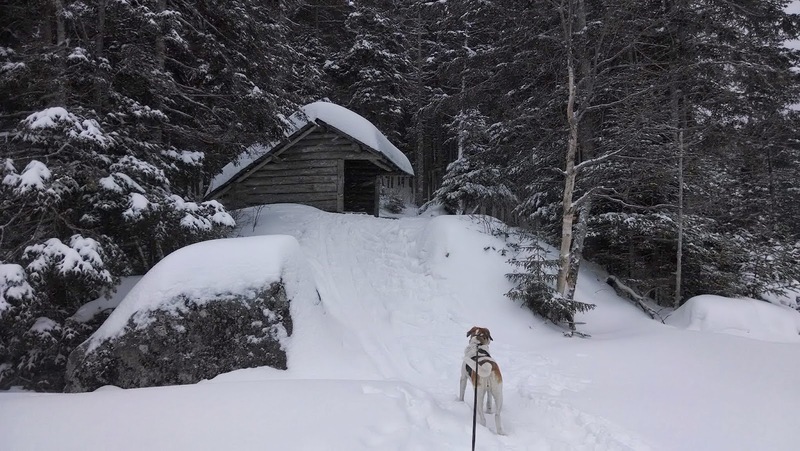 I found out that they skied to the Calamity Leanto, then left there skis there and switched to snowshoes. They took the trail around Flowed Lands. 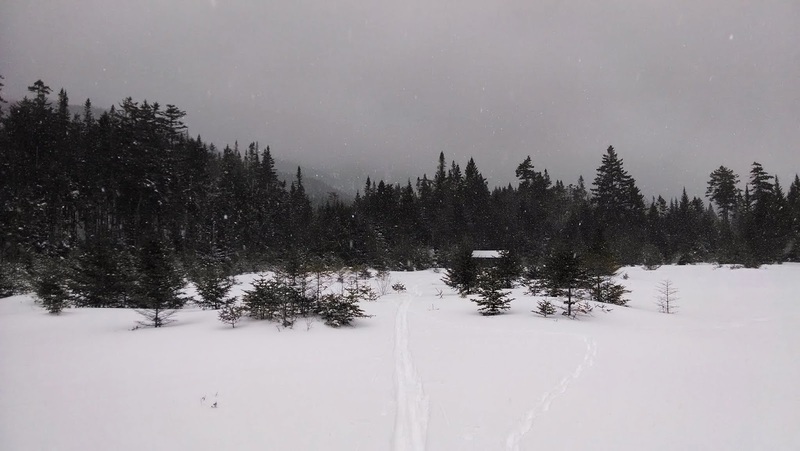 I would have left my skis on and crossed Flowed Lands and left my skis at the Herbert Brook leanto, but that was their decision. It was 25 degrees at the start. I hoped that the temp wouldn't hover at freezing, causing the snow to stick to my skis. I brought my Swix F4 wax just in case. 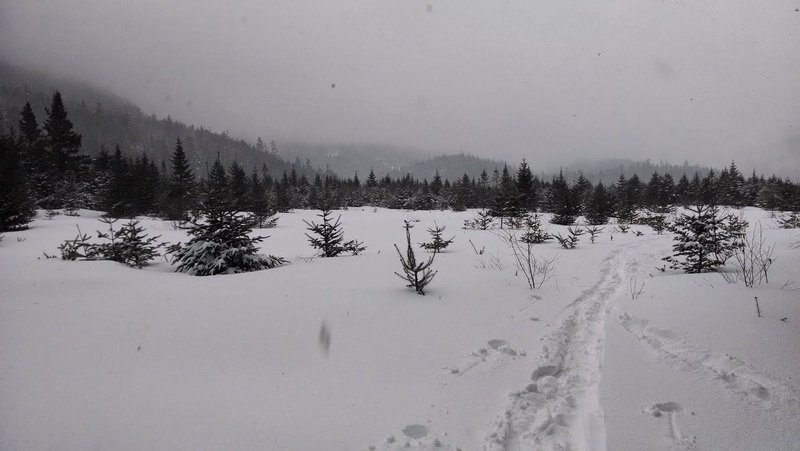 It had started snowing pretty hard as we started out. 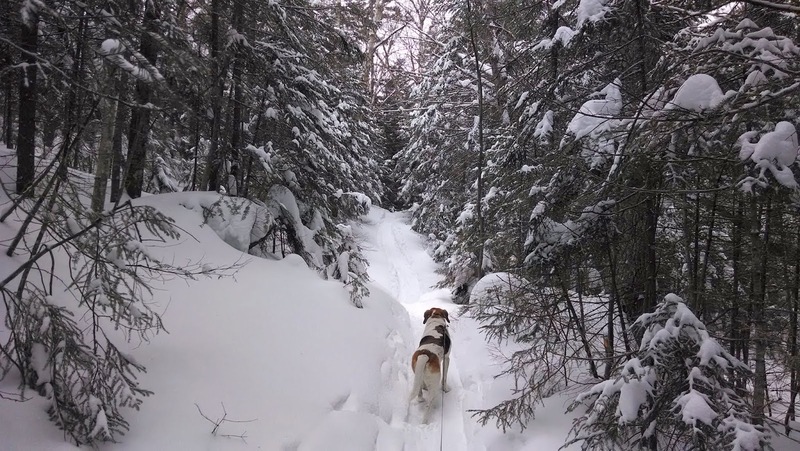 I followed in the fresh ski tracks of the guys headed for Marshall. The skiing was perfect. 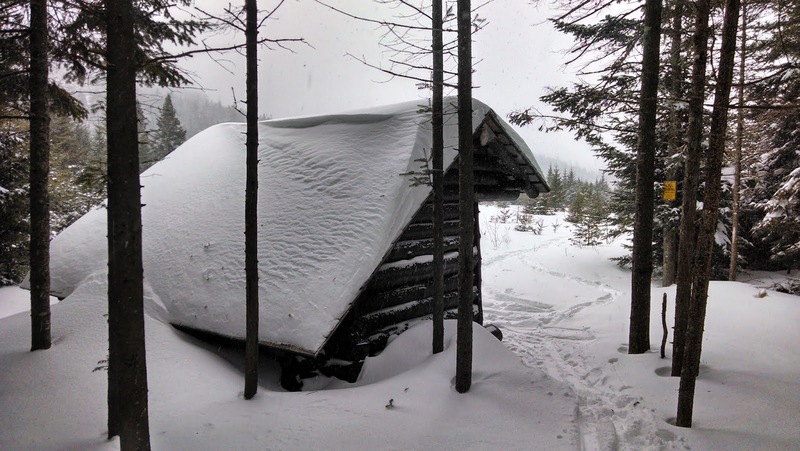 There was a firm base with a light coat of fresh powder on top. 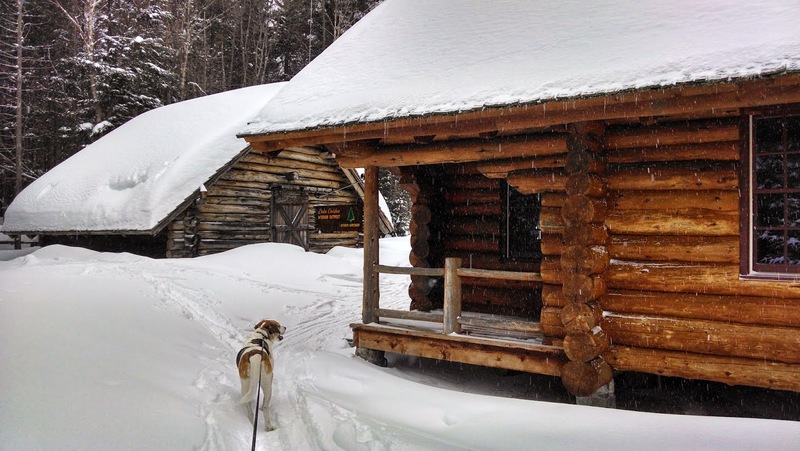 My first stop at Flowed Lands was at the Herbert Brook lean-to to check on it's condition. 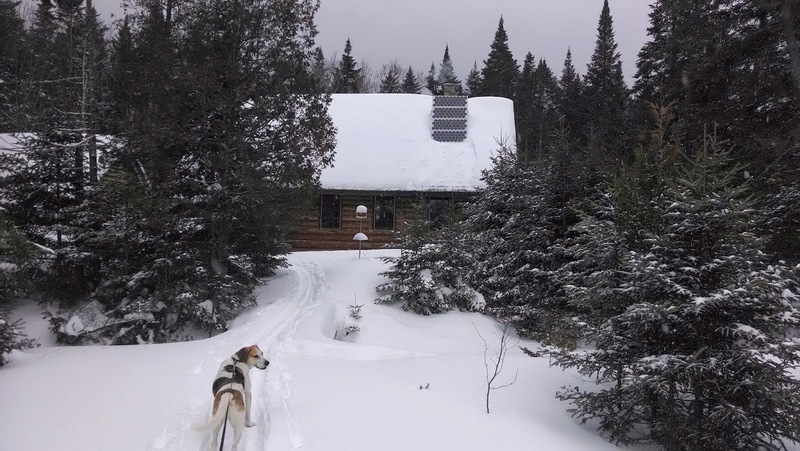 Last year Leesa and I officially adopted it in the ADK Adopt-a-Leanto program. Everything looked good, so Rev and I continued on. I forgot to bring my camera today, so all these pictures are from my cell phone. 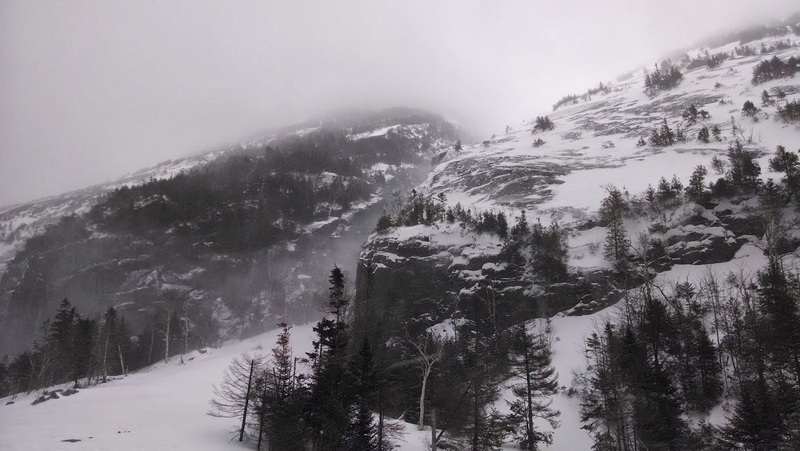 Visibility wasn't great, and it was snowing, but that kind of added to the mystical feel of the pass. I really love this location and could just spend days skiing back and forth here. 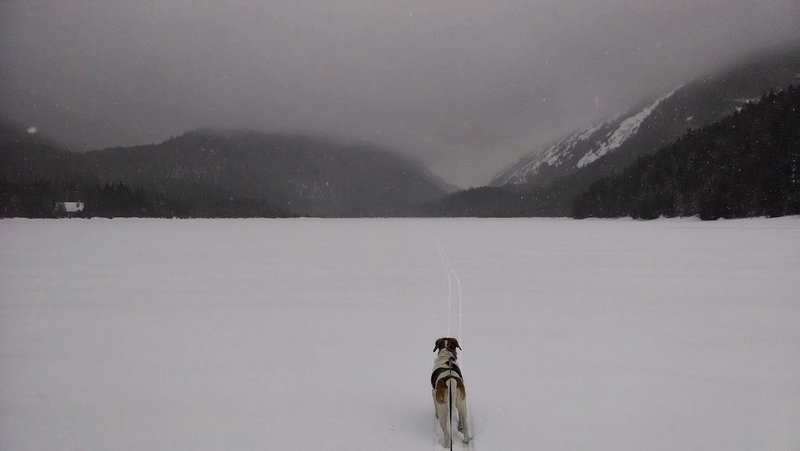 Rev and I headed out onto Lake Colden. 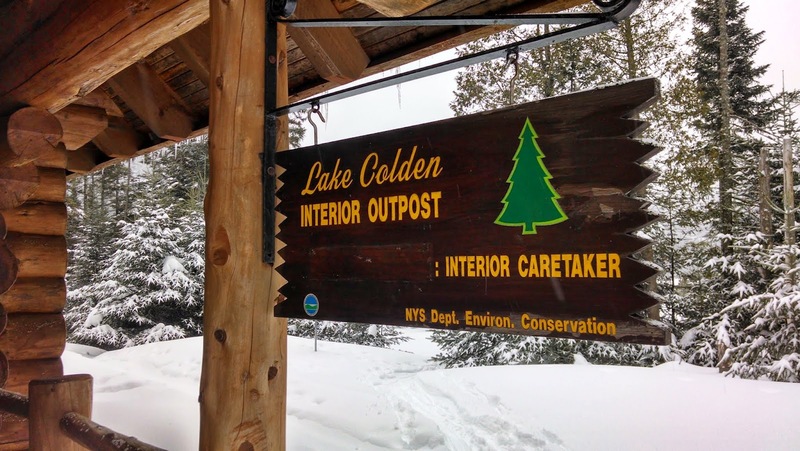 We ran into Shawn, the winter caretaker at the Interior Outpost. He was out for a short ski with 3 women. 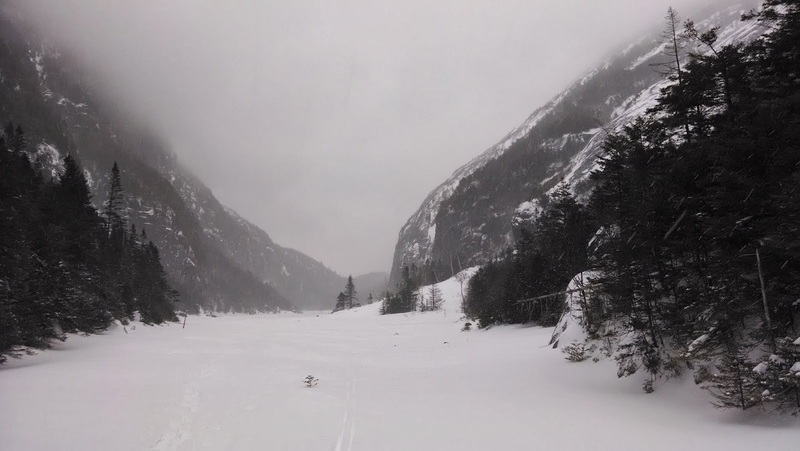 From the Outpost, we continued on towards Avalanche Lake. 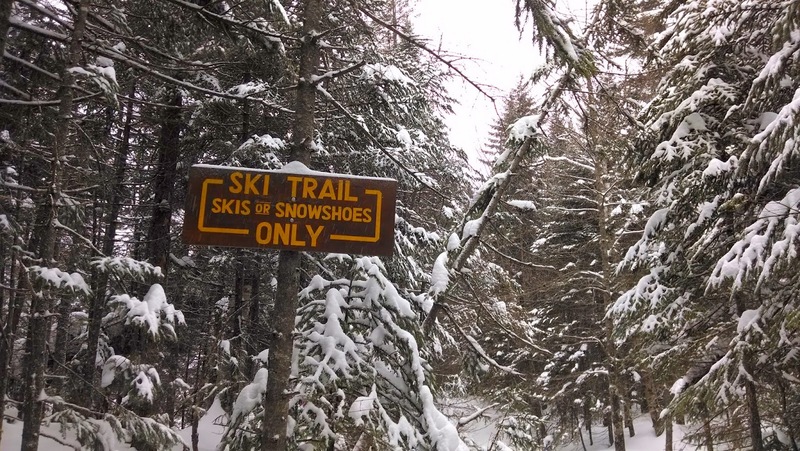 We took the "ski only" trail, and soon we skied out onto the lake. The wind out on the lake was really blowing. To get an idea, you can see my You Tube video here. It is hard to believe that the video was taken today, 3/22, in spring! 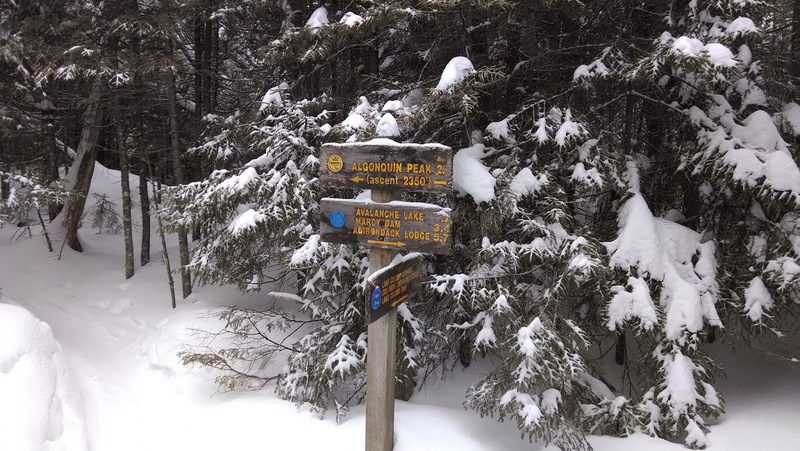 I saw two women out skiing today who started at Adirondack Lodge who skied to Flowed Lands and then down past the Henderson Monument to the highwater bridge, then back to the ADK Loj. 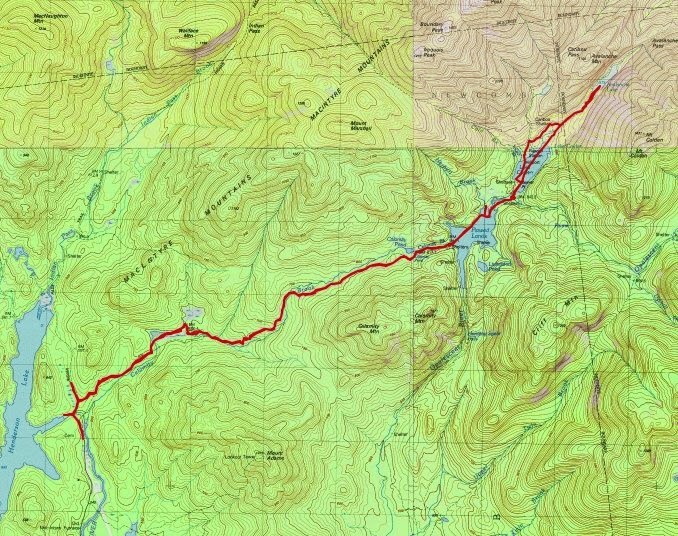 That's about 20 miles of skiing! The Trap Dyke looked amazing as always. Sometime I have to climb it (not in winter). At this point, I took a couple videos and it was time to turn around. 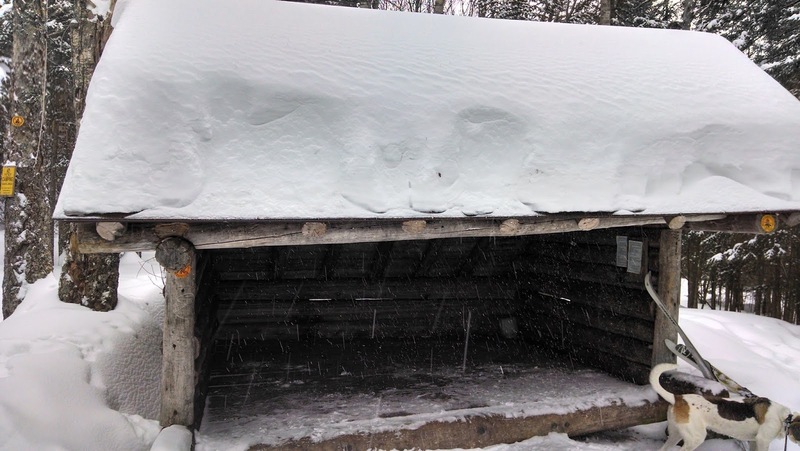 Look at the amount of snow on the Calamity Lean-to! 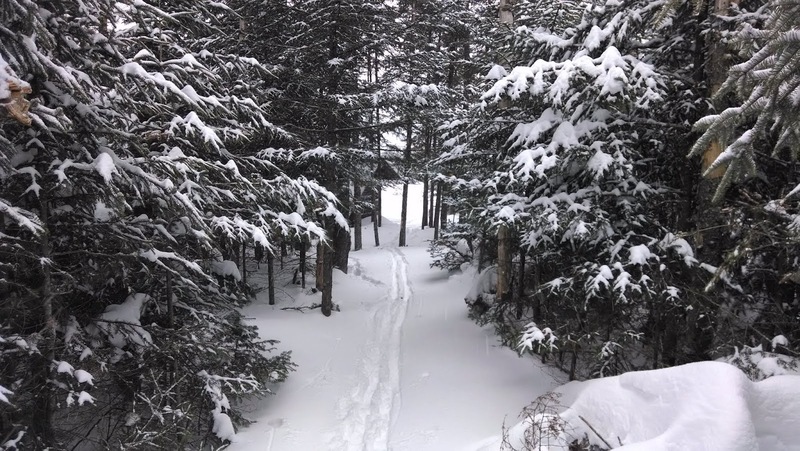 Skiing down the Calamity Brook Trail is great fun. Especially under these perfect conditions. I may be back tomorrow, who knows. The good snow won't last much longer.